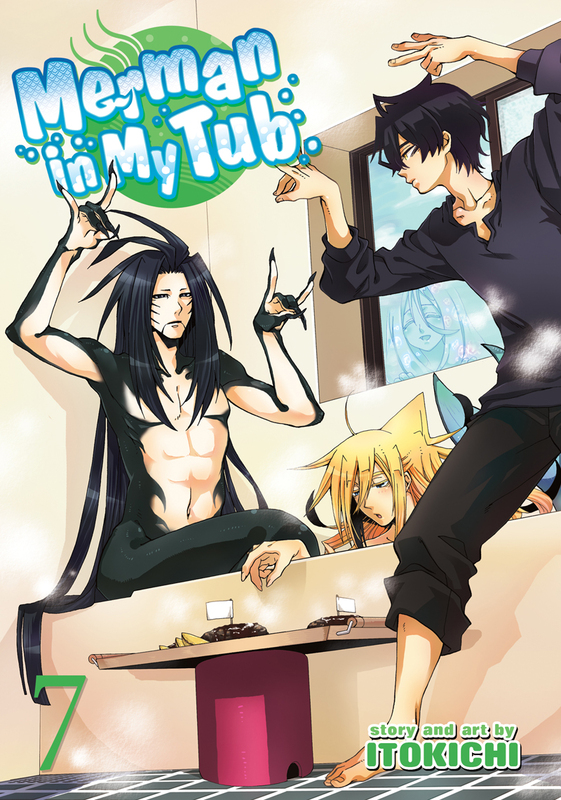 Merman in My Tub manga volume 7 features story and art by Itokichi. Wakasa wants to write a book! Before he can do that, he’s got to master a few rudimentary skills–like learning how to write the word merman. After that, things get dirty when Takasu and Wakasa decide to make mudballs. Meanwhile, Tatsumi’s uncle is cooking up his own crafty creations: romantic bath salts! 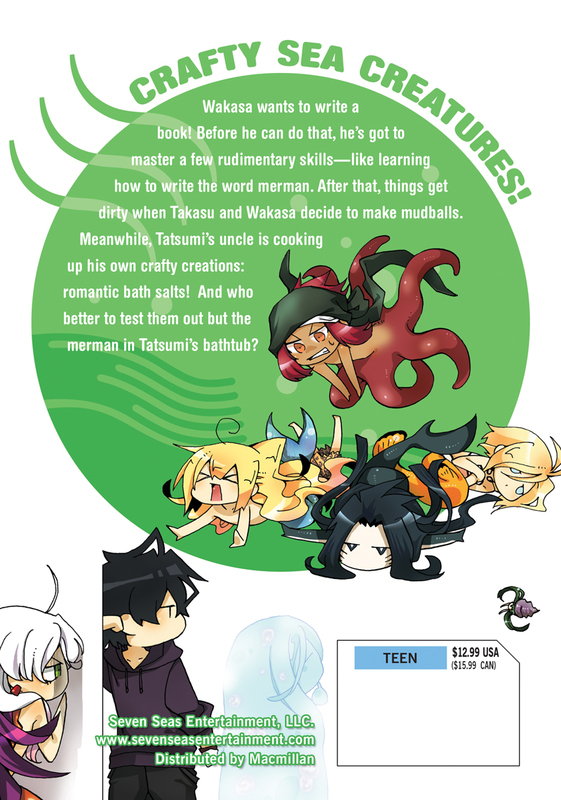 And who better to test them out but the merman in Tatsumi’s bathtub?